Dispose Your Fishing Line & Lead Here! Keep our waterways tangle-free and lead-free. Fishing line and hooks can cause injuries or kill birds. A small lead sinker is enough to poison a Bald Eagle. For the past six years MREAC, with ASCF support, has completed Atlantic Salmon habitat assessments on the Bay du Vin River, Bartibogue River, Barnaby River, and the Bartholomew River systems respectively. 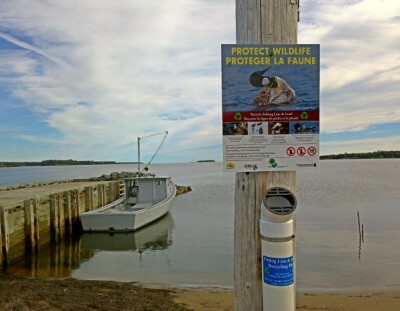 MREAC with the support of the New Brunswick Department of Environment and Local Government (DELG) staff have been actively involved in lake monitoring on the Miramichi watershed. 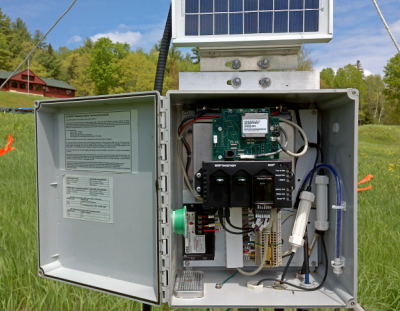 MREAC established a partnership with the New Brunswick Department of Environment and Local Government (DELG) in 2009-10 to begin conducting snow and ice studies on the Miramichi River watershed. As part of the New Brunswick "River Watch" program, ice observation is a provincial initiative that monitors the potential for flooding along New Brunswick’s river systems in late winter and during the spring freshet. Real-time monitoring is an increasingly popular technology that is being used across the world. This technology allows users to have up-to-date results on various parameters and at specified intervals. 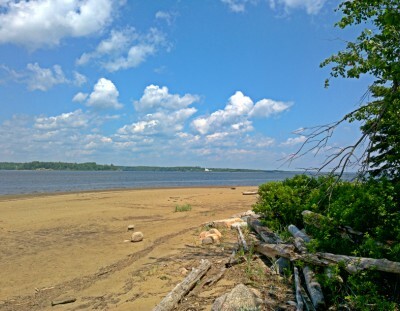 The Miramichi watershed encompasses approximately 23% (~13, 547 km²) of New Brunswick, and MREAC has been committed to the environmental stewardship and management of this important riverine and coastal ecosystem. The Miramichi River and her tributaries are considered to be one of the most important Atlantic salmon habitats in the world. MREAC partners and works alongside staff from Environment and Climate Change Canada (ECCC), Fisheries and Oceans Canada (DFO), New Brunswick Department of Environment and Local Government (DELG), Department of Energy and Resource Development (DERD), Department of Health and Wellness (DH&W), Canadian Rivers Institute (CRI), Anqotum Resource Management, University of New Brunswick (UNB), New Brunswick Community College (NBCC) and others.